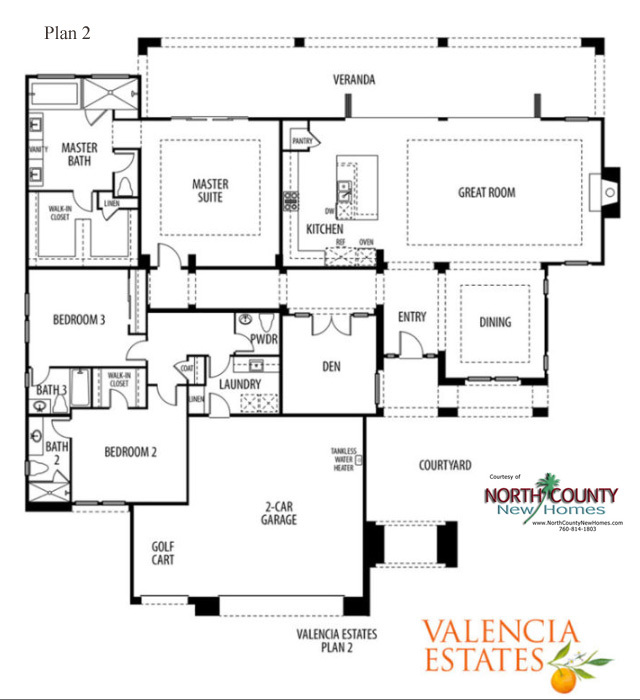 2,967 to 3,313 Sq. 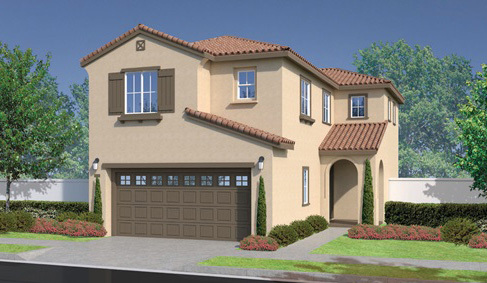 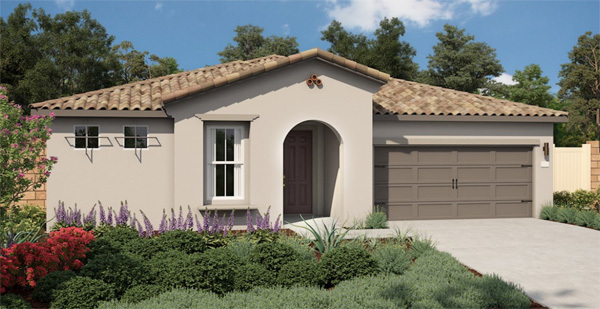 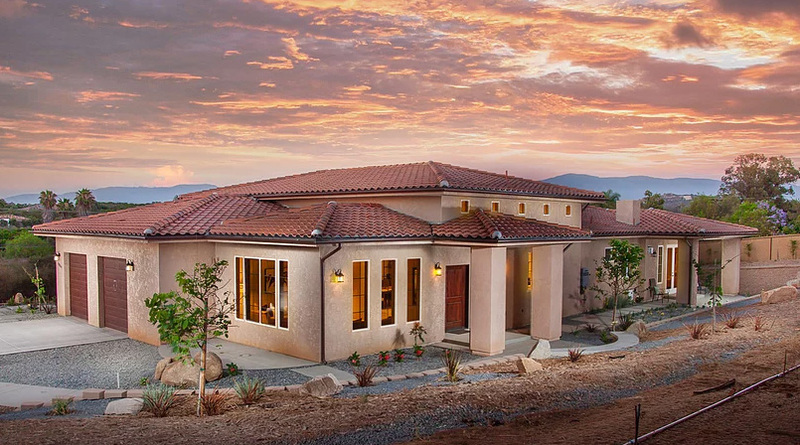 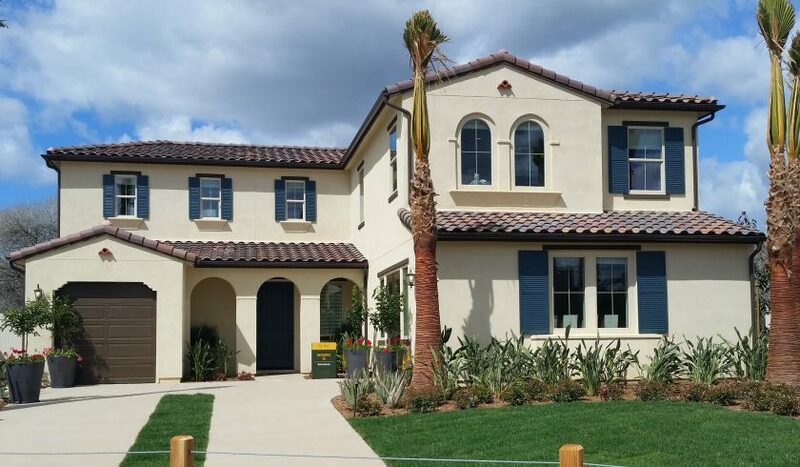 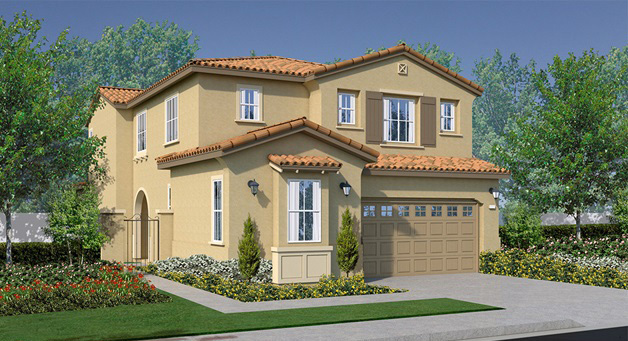 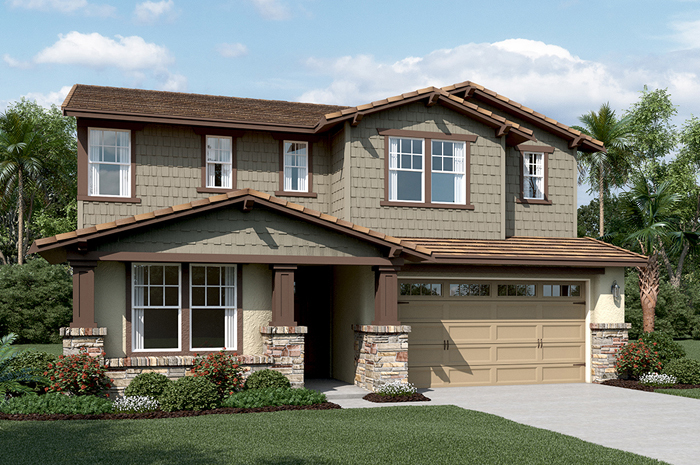 Ft.
Valencia Estates is a community of 7 new single-family homes in Valley Center, California. 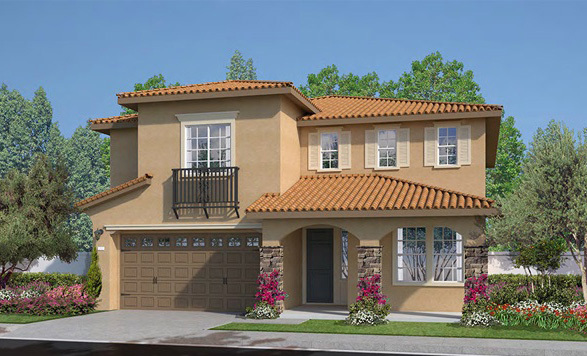 These 7 new single-story homes are being built on homesites that are approximately 2 acres. 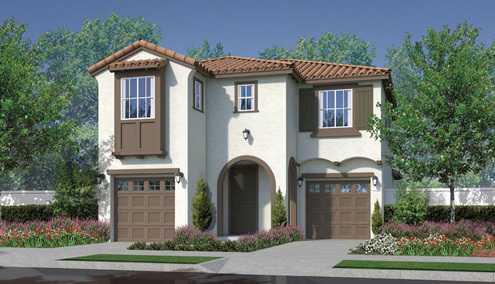 There are 2 floor plans being offered ranging from 2,967 to 3,313 square feet with 3 to 4 bedrooms and 3 ½ bathrooms. 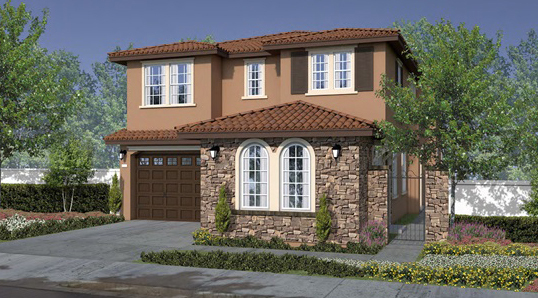 Plan 1 will have a 3-car tandem garage and the plan 2 will have a 2-car garage with a third garage for a golf cart or utility vehicle. 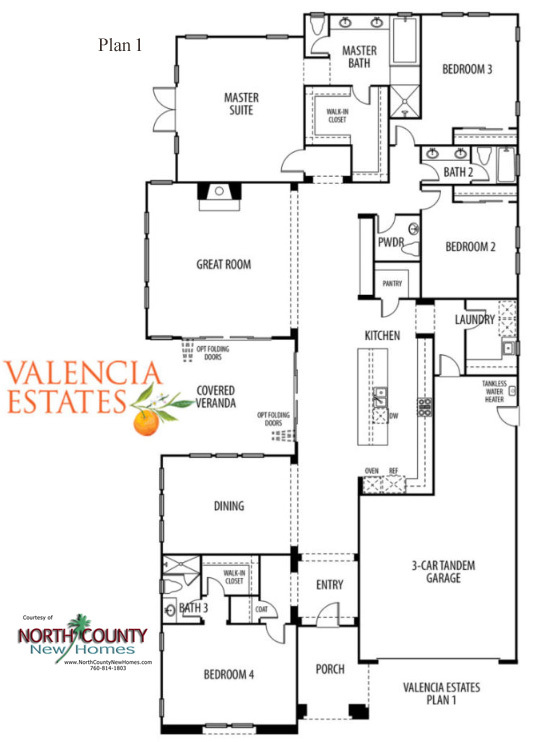 Both floor plans have covered outdoor verandas, kitchen islands, kitchen pantries, formal dining rooms and expansive master suite walk-in closets. 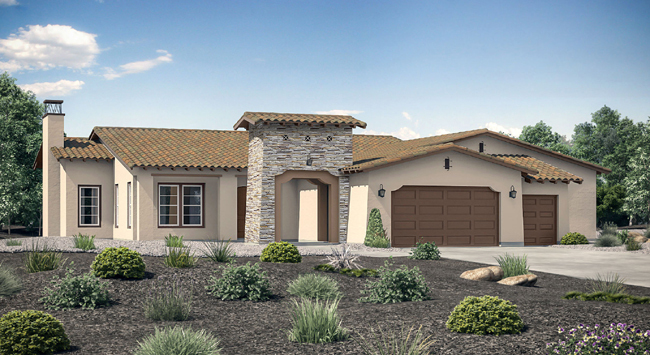 Valencia Estates homes will have mountain and territory views. 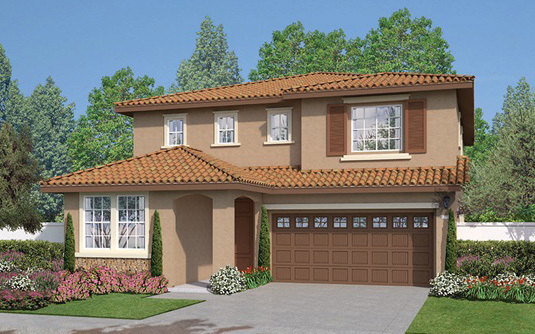 Pricing at the time of this post is $799,000 to $899,000.